The SEC announced today that it has charged Theranos, Elizabeth Holmes (founder and CEO), and Sunny Balwani (former President) with what it is calling a "massive" fraud. This story is still developing, but since it is an important one we are going to dive in to some preliminary reactions. The SEC's anti-fraud provisions apply to private companies too. While long known to securities law nerds (I proudly claim that tribe), the startup community may not have been aware that the SEC's rules around fraud in securities transactions apply to Silicon Valley startups who have not yet IPO'ed. While there are a variety of anti-fraud rules, the most pertinent ones are that companies, and their founders and executives, can be held liable for material misstatements or material omissions in connection with their fundraising activities. This applies to fundraising decks, demo days, phone calls, emails, and even media appearances or quotes. Theranos is an outlier, don't extrapolate too far. In my view, the Theranos case is not representative of the conduct of startups or of their founders. The conduct of the company, Holmes, and Bulwani, if true as alleged by the SEC (I'd bet that it is), is exceptional. While founders are generally prone to optimism (it's basically required to build a company), the facts here go well beyond an exuberant view of what could be. According to the SEC, Theranos, Holmes, and Bulwani claimed that their products were deployed by the US Department of Defense on the battlefield in Afghanistan. This was not true. This was one among several egregious misstatements they made to investors. Zooming out a bit, one of the main themes of the fraud was that, through a variety of misstatements, they deceived investors into believing that their portable blood analyzer could conduct comprehensive blood tests from mere finger drops of blood, revolutionizing the blood testing industry. In reality, the defendants greatly exaggerated the capabilities of their product; it could conduct only a small range of tests and the vast majority of tests they conducted were done on modified or third-party analyzers—not the product they were pitching. Companies and boards need to improve governance. Uber, Zenefits, Hampton Creek, Theranos. While Theranos stands apart as an outright fraud, there is a theme of weak governance at startups. Since the SEC came to Silicon Valley and announced it was concerned about "eye-popping" valuations in March 2016, its gaze has grown sharper in focus. Now is the time for companies to step up internal governance and controls. I'm thankful that it appears we are moving beyond the days where investors would look the other way at founder indiscretion or mismanagement. Three ways to improve governance. Companies should examine whether their internal controls (financial, legal, HR) are in proportion to their scale. As an example, look at how quickly Uber scaled as an organization while keeping a small HR function that was not empowered to address real culture and employee workplace issues. Second, large startups should have independent board members. Let's have a fresh voice who may not be concerned about being "founder-friendly." Third, large startups should have a whistleblower hotline. Companies should encourage the internal reporting of problems, as it's better to identify issues early before the media or regulators come knocking. Management should be careful about what they say to potential investors. Theranos should be a wake-up call to founders to use caution in how aggressively they pitch their companies. They should make sure they are including all the important facts, that the important facts are accurately disclosed, and that any claims or projections are well-reasoned. Founders should be ready to provide back up for what's in the deck and make sure they include any assumptions on which the claims are made. 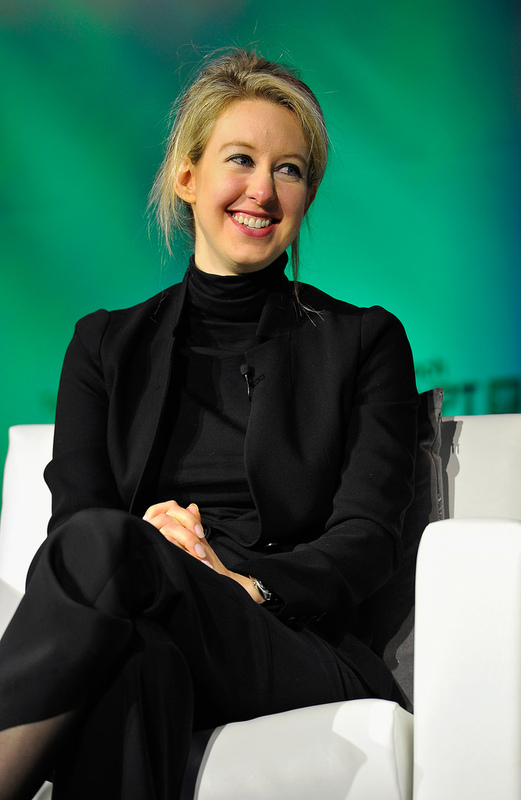 Neither EquityZen nor its affiliates have conducted a transaction in Theranos.